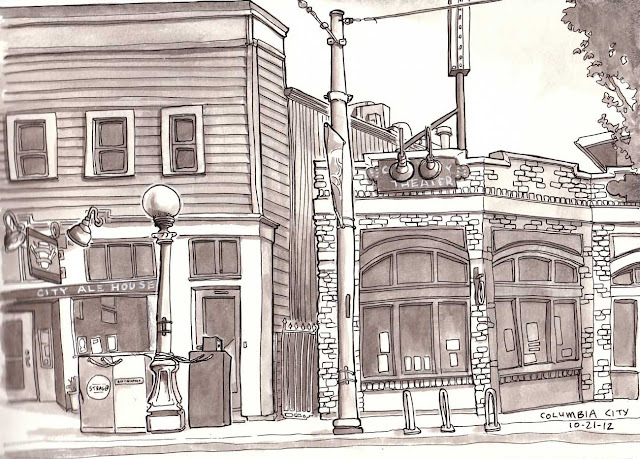 Chilly but clear morning sketching with the Seattle Urban Sketchers in Columbia City. Nice turn out, and nice to sketch with Jackie again. But even with my fingerless gloves I was too cold. Jackie is somehow immune to the chill, but interiors for me from now on until May. Really admire your work Steve. Would love to watch over your shoulder sometime! Like all great travelers, I have seen more than I remember and remember more than I have seen.